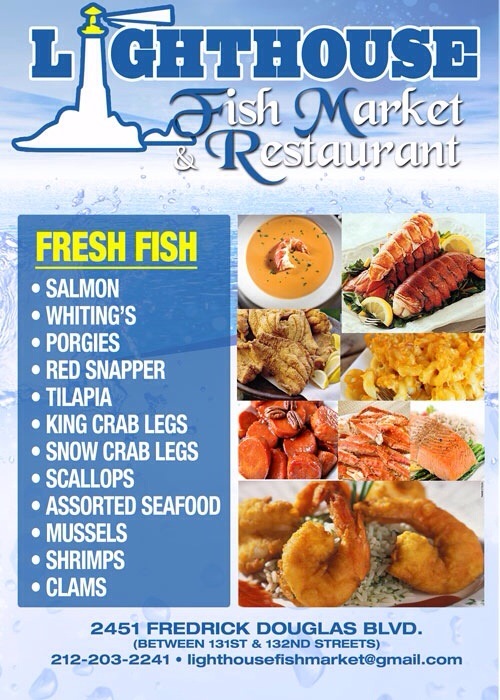 Update: Lighthouse Fish Market aiming to open in May in Harlem – Darnell TheNewsMan!! Lighthouse Fish Market aiming to open in May in Harlem. If all goes as planned, the place will open in mid to late May at 131st Street and FDB. This past week we told you about a fish market opening in Harlem on 131st Street and FDB. We have more details. The name of the place will be Lighthouse Fish Market. It will be offering fresh fish with the option to have it steamed, grilled or broiled, seasonal veggies, and side orders available will be Mac n cheese, candid yams, and greens with traditional shrimp and grits on Sundays. Also, Lighthouse plans to have chef specials throughout week. If all goes as planned, the place will open in mid to late May at 131st Street and FDB. Cool Companies Hiring In NYC!! !